Hi, everyone! As I am sure you all know, there are some really great sales happening this weekend. I was most surprised with the selection from Anthropologie. I almost never shop there, but decided to browse their sale anyway. Bad idea, because now I have like an extra five things I want haha! A lot of the sale is tank tops, but I always think those are great layering pieces with cardigans, blazers, jackets, etc.! They have some great dresses too. 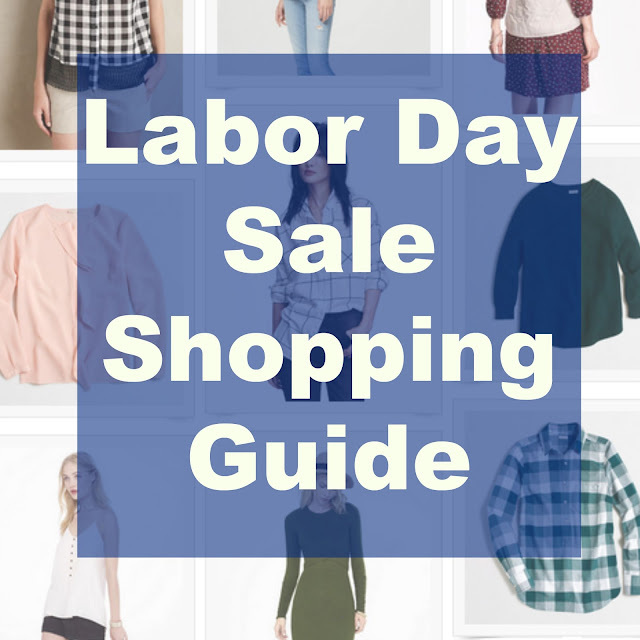 I have linked some of my favorite pieces from all labor day sales below, as well as provided the links and information to some of my favorite stores! This is always a great weekend to do some heavy shopping! Have a great weekend and TGIF! Yay for all the sales! Happy Friday! I love sales!! Too bad I can't participate in them! The life of the real world can stink somedays! Great picks to share though!!! I'm obsessed with all things Olive for Fall! I can't wait to get my shop on this weekend. I was so sad this morning when I discovered some of my favorite things on sale at Nordies were out of stock in my size! I need to do a better job of staying on top of things ;) Hope you have a great long weekend, Darcy! Omg I'm tempted to just give my wallet to my hubs so I don't spend anymore! Lol. Anthropologie....omg LOVE it all! I had to stock up on some new running gear that always costs a ridic amount! Yay for holiday sales! Great picks, girl. I am definitely planning on doing this too and I am loving all your picks! I may wait to do mine on Tuesday or something :/ Love that you got a head start!! I just love Anthro and I usually just browse there! That windowpane blouse is gorgeous. Have a great holiday weekend! COVERING MY EYES! I have no money to shop and all of these styles are tantalizing me to! I always love a good holiday sale! I always want to shop at Anthro but it can be so pricey! Glad to see they have so much on sale! We can't get get enough of some good sale! I got my eyes on a few things before this sale ends. Shopping! So.many.sales…ugh. I can't shop anymore! Love it! So many sales! There have been some really amazing sales! Thanks for this list! Great picks! I love the Gingham top! SUPER excited for the Labor Day sales, especially Old Navy! SO excited for all the Labor Day sales! It's overwhelming! I'll definitely be hitting up Anthropologie! Great roundup! I just picked up a few things from Express :) It's really one of my favorite stores and I almost never pay full price when I shop there. They have the best sales. I wish I had unlimited money right now so I could shop these labor day sales...I'm obsessed with that stripe dress! Great picks! Loved all of the sales that were going on this past weekend. Great picks! Hope you had a great weekend! Such great sales! It's the perfect time to stock up on fall clothes. Love that blush blouse! I wish I had taken more advantage of all of these great sales! That's a lot of sale. Oh so many great things. I love that plaid top from the Gap!! I hope you snagged some amazing threads over the holiday!! Love reading your blog and hope you stop by the latest! Anthro's sale section was so tempting! Ooh, I love all your picks! Sales are so dangerous for me! I'm a sucker for anything w stripes!